Anyone who has ever golfed knows that it is a challenging game. There are many nuances and obstacles to overcome to become even a serviceable golfer, let alone a champion. Many would argue that these challenges are what make the game great – the constant feedback from continuous improvement is as rewarding as “winning” the game itself. But when faced with stiff competition, like a friend who just has a natural gift for the game, suddenly small wins become irrelevant and winning is then the ultimate goal. What’s a Golfer to Do? First, you research ways to improve your game. You read blogs on swing improvements; you buy golfer magazines, and even hang out at the Pro Shop at your favorite golf course and talk to staff and colleagues. Spending hours and hours at the driving range and on the course, you make minor improvements and start to enjoy the game even more. But with every game with that one friend who makes it look easy, you realize how much more it will take to reach his level. Next, you look into advanced golfing technology. Again, you research to find out what are the best clubs to use. You try on different shoes, shirts, or anything else that experts tell you will improve your game. If you’re more ambitious, you may even buy a golf swing analyzer to improve your golf stroke mechanics. The combined output of this technology and your improved knowledge on the game takes you even further in your development, and your friends start to take notice. Yet, you cannot beat that one friend. Finally, you decide you’re going to have to take your development seriously in order to be the best golfer in your group. 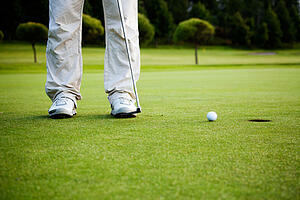 That’s where you decide to hire a professional golf coach to smooth out your game. In finding the best professional you can, you have confidence that your game will improve to champion level. As promised, your coach uses all of the knowledge and technology you’ve researched and adds more relevant, personalized advice that takes your swing to professional levels. You finally win your first game. So what does this have to do with safety? Like golf, safety is a game of continuous improvement. As long as people are required to work in safety-sensitive roles, there will always be obstacles in the way of a purely incident-free environment. Like golf, safety offers unique challenges to overcome on a constant and recurring basis, be they equipment or environmental focused or the dreaded human factors. The good news is, technology and knowledge have been constantly improving as well throughout the years. Personal Protective Equipment has become as comfortable as it is effective, automated systems remove the need for many of the more dangerous on-the-job activities, and safety training has become an entire industry on its own, offering a wide range of general and specific courses to keep people safe. Just like in golf, the secret to continuous improvement in safety is focus, dedication, and a personalized coaching. Treat every member of your team as an individual with unique motivations, skills and abilities and you will have a safer workplace. Find out how you can improve your safety game with personalized coaching and safety self-awareness at ASSE's Monthly Meeting in Baton Rouge March 17, 2015 or join us at our Lunch & Learn on March 18, 2015.